Seriously, how cool would it be to build your own ice palace? And wouldn't it be fun to have your very own talking, singing snowman as a sidekick? 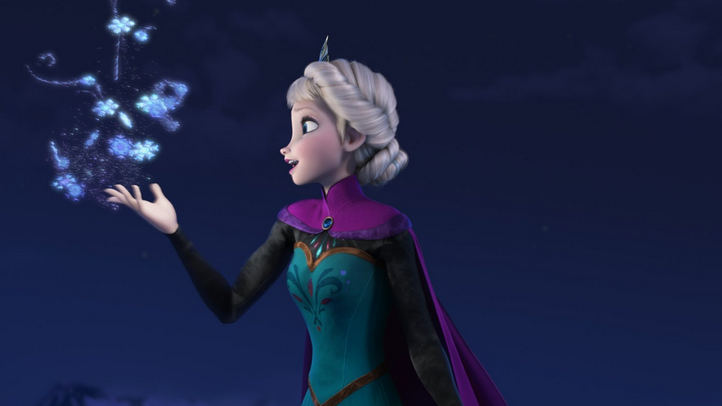 What draws me to cryokinetic power is its wide range of uses, as Elsa demonstrates in Disney's Frozen. She can defend herself, create stunning architecture, and manipulate the weather, all with her one super power. 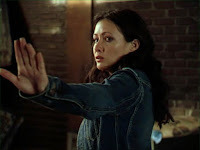 I felt a lot of sympathy for her when she lacked control over her ability, but once she figured out how to regulate it, it seemed like it would be a pretty awesome power to have. Invisibility would be such a fascinating super power. Just think how many interesting places you could go if you were invisible, and how much secret information you could gain. In addition, people rely so heavily on their sense of sight, that it could really come in handy if you were battling a villain. Or even if you're not required to fight bad guys, at the very least invisibility would allow you to play some very entertaining tricks on people. Maybe it's just because I'm lazy, but I would absolutely love to be able to move things around with my mind. Want to rearrange the furniture? Done. Want to clean up the toys the kids left lying around? Done. Want to get the remote without walking across the room? Done. Telekinesis is another super power that I find desirable because of its versatility. It could be used for so many every-day tasks like the ones I just mentioned, but also could be extremely effective in combat, as you wouldn't be limited by your own physical strength in manipulating the items around you, and the fact that everything can be done with your mind allows for an element of surprise. And if you could be invisible and use telekinesis? Your enemies would never know what hit them! All right, superhero fans, lay it on me. What amazing super powers have I missed due to my lack of knowledge? Would any of these make your list? What super power combinations do you think would work the best? Thanks for reading (and putting up with my lame jokes)! Great choices! You chose a lot of my favorites. I would probably have healing power, the ability to turn my skin into diamond, like Emma Frost, and the ability to phase through walls. Another vote from me for Elsa's cold and ice manipulation! And I like your thoughts behind invisibility and telekinesis too. :) Nice topic, Laurie. Oh man, just think if we both had cold and ice manipulation - it would be that much cooler times two :) Thanks for commenting, Laura! Fun! I've always thought an invisibility cloak would be neat, but it would be much easier just to have the power of invisibility. . .you wouldn't have to worry about leaving your cloak somewhere! And, here in MN, being able to manipulate cold and ice would be extremely useful! Hmm, interesting thought on an invisibility cloak versus the power to turn yourself invisible. I think you're right that having the power would be more convenient, but on the other hand a cloak could be used to include others, too, like Harry does with Ron and Hermione. Ha, yeah, living in MN probably had an impact on my choice of cold and ice manipulation :) Thanks, Erin! Another thing to think about is: if you just have the power to turn yourself invisible, do the things you touch also turn invisible? (For example, your clothes?) In The Incredibles, a superhero movie, the daughter has the power to turn herself invisible, but not her clothes. This leads to some interesting predicaments. Hmm, I don't know - that's a great question! I guess I would want the things I touched to also turn invisible to deal with the clothes issue, but that would make it trickier to get around without being spotted, since if I touched anything it would suddenly turn invisible and give me away. Apparently I haven't thought this through :) Thanks for your comment, Spruce! I loved hearing your thoughts, Laurie! Invisibility is on my list as well, but only in honorable mentions. :) Great post! Thanks, Hannah! I remember seeing invisibility on your honorable mentions :) You had such a great list, too - it definitely made it easier to narrow mine down having those out of the running! Your #3 and #1 would definitely be on my top three, as well. Anything with ice or snow, and I'm on board. I haven't read any comic books, but I'm a huge fan of "The Big Bang Theory," and I caught myself eyeing them the other day at the bookstore just see what all the hubbub is about.